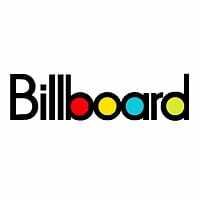 The Nielsen Company is selling eight publications, including Billboard and The Hollywood Reporter, to e5 Global Media LLC, a new company formed by Pluribus Capital Management and Guggenheim Partners. Pluribus was founded earlier this year by James A. Finkelstein, George Green, and Matthew Doull. Former Bear Stearns head Alan Schwartz is running Guggenheim, a privately held, diversified financial services firm with more than $100 billion in assets. Other brands included in the sale worth an estimated $70 million are: Adweek, Brandweek, Mediaweek, The Clio Awards, Backstage, Film Journal International and the Film Expo trade show business. Among the titles closing will be Editor & Publisher, which has chronicled the newspaper business for 108 years. Management of the acquired brands and their staff members will begin to transition immediately. Nielsen, which quietly shopped the trades around for the latter half of 2009, has suffered with the overall media downturn, driven largely by declining ad sales. Greg Farrar, President of Nielsen Business Media, explained, “Divesting these titles allows Nielsen to focus its investment on its core businesses and those parts of our portfolio that have the greatest potential for growth, including our leading trade show group.” Nielsen also produces the SoundScan music sales charts. The acquisition, which is subject to normal terms and conditions, is scheduled to close by December 31, 2009. At the conclusion of the transaction, the group’s U.S.-based publications will continue do business from their current locations at 770 Broadway in New York and at 5055 Wilshire Blvd in Los Angeles.